I received a loan of a Mazda CX-9 for a one-week period in order to provide a review. I was not compensated for this post. All opinions are mine. Although according to the calendar it is still summer - and will continue to be for a couple more weeks, the kids are back in school and summer as we know it is coming to an end. It always goes by too quickly, so I always try to seize the opportunity to do some short family road trips with the kids each summer. It’s getting harder and harder as they get older and are involved in activities and are committed to work schedules. 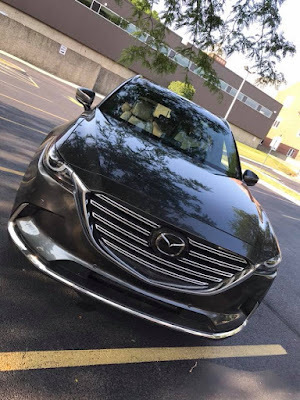 I did manage to get in a nice trip this month, though, with 3 of our 5 sons and I was so excited to have use of a Mazda CX-9 as we traveled.